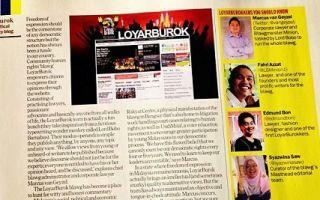 Supplemental LoyarBurok Interview in TimeOut Kuala Lumpur Online! The longer online feature accompanying the print article. The most awesome print feature. Join LoyarBurok’s MastHead, and Change Your Life. Forever! Connect. Caress. Cuddle. Stimulate. Simulate. Salivate. An imperfect record of the Perak Crisis, but nevertheless necessary reading for all conscientious Malaysians keen on preserving liberty and democracy. A useful tool, perhaps, in proactively combating the looming constitutional crisis in Selangor, 2011? 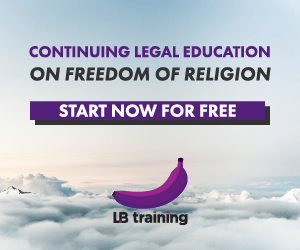 The Perak case is significant to all Malaysians, as its implications are far-reaching not just for other state governments but also at the national level, especially as discussion is underway on the relationship between the civil service-royalty-political parties in the state of Selangor presently. What?? LoyarBurok TEE Featured in a Couture mag?? The LoyarBurok tee has made it, BIG time. Get yours now!